The weaver bird constructs their nest by interweaving simple elements such as twigs, leaves, and grass. 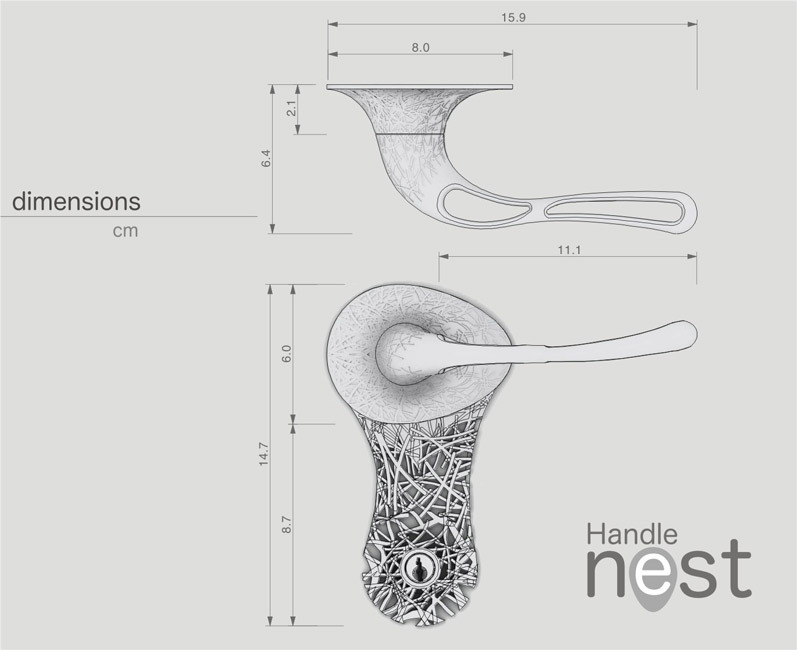 Reforma constructs their Handle Nest door handle by interweaving simple elements of Grasshopper. 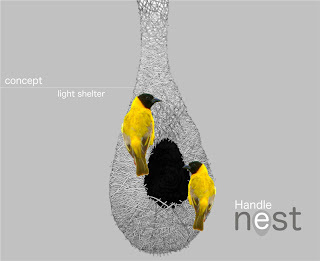 Both end up with a complex, lightweight, but sturdy 'nest'. Both provide security. 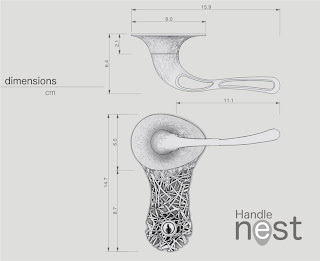 Details of Handle Nest (in Spanish) . . .